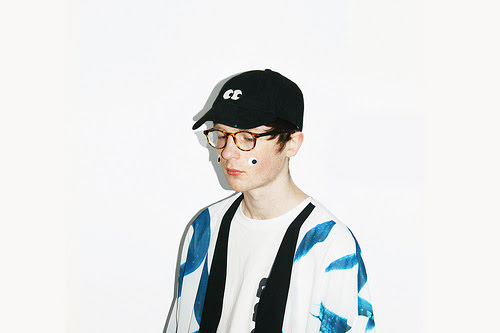 Iglooghost is making waves with his scintillating, maze of melody electronic compositions. Pulling from pop, trip-hop, and other electronic genres, his cinematic tracks – often accompanied by surrealist narratives – defy classification. If Rock Star Games designers max out the capabilities of the consoles their video games play on, Iglooghost must surely test the limits of his musical arsenal. And along we follow on a sonic journey through jittery percussion, hopped-up vocal clips, and a synth that’s contorted everywhere between aggressive and graceful tones. The term ‘sonic progression” doesn’t need to exist in Igloo’s imaginary universe, as his brilliantly intricate – yet manic – compositions are one big, rapidly shifting discoball of wonder. You can hear the adventure in “Sōlar Blade’s” melodies, but if you need to see it for yourself, the digital 3D, Mushbuh-directed music video will debut Saturday night on Adult Swim. In the meantime, you can preorder Neō Wax Bloom here and stream “Sōlar Blade” below.